Last month, the Communist Party spokespeople slammed new U.S. sanctions targeting Chinese traders doing business with North Koreans, calling them “wrong”. 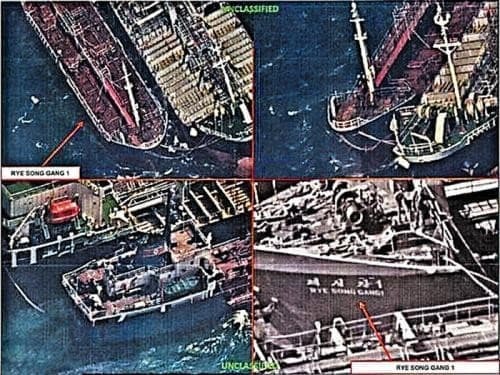 At this point, it’s still unknown if the Chinese government is turning a blind eye to the illegal open sea transactions with North Korea, but as of today it seems as a blatant snub to the Trump administration. Meanwhile, as President Trump and the U.S. celebrate last week’s latest round of new sanctions for North Korea at the UN, the likelihood of illegal smuggling routes between the two countries will surely expand. The question then is with all diplomatic avenues exhausted and China violating a UNSC resolution, what happens next? China just cut itself out of the partition of North Korea between USA and Russia.